Then all you have to do is start listing products of various stores on your site, or discretely hyperlink product links in your content, or place ready-made widgets on your site to get your visitors to click on them and buy. The online stores and affiliate networks pay you a commission for every action taken, sale made or app install done via your links. That’s how simple affiliate marketing is. The only complicated part of it is understanding which affiliate programs in India will pay you the most for your promotional efforts. Which program will ensure you have a handsome revenue to look forward to at the end of every month. Well, who better than India’s first-ever content monetisation tool to tell you who rules the affiliate world? Started as an online bookstore by two Indians, Flipkart is one of the leading online marketplaces in India, giving tough competition to Amazon, the global online giant. 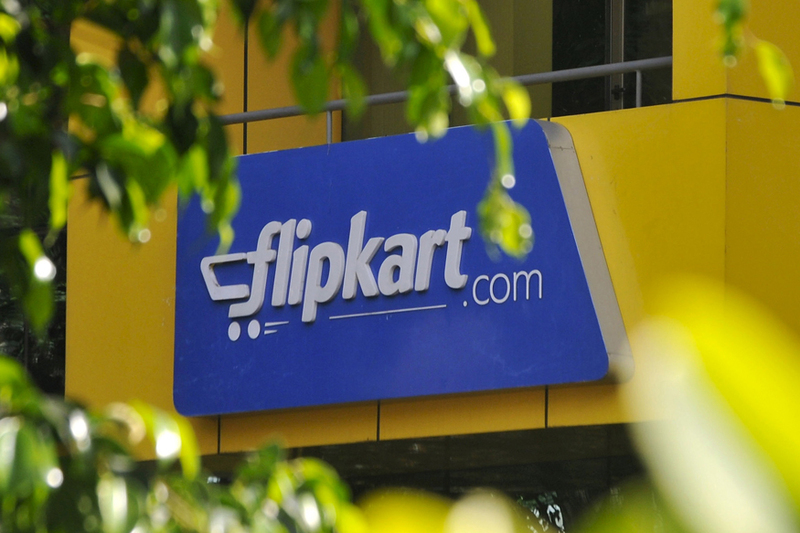 Today, shoppers can buy everything from books to home appliances, from clothes to furniture, from baby care products to automobile spare parts on Flipkart. With such a vast range of categories available, Flipkart offers varying affiliate commissions for different product categories. E.g. currently, you will get 1.80% commission on storage devices like HDDs, memory cards and pen drives while you can earn 9% per sale on fashion and lifestyle products through the Flipkart affiliate program on Cuelinks. Amazon has ruled the Indian e-commerce ever since its launch here in June 2013. This also a vast marketplace which not only offers all kinds of products in various categories but also its home-grown products like Kindle, Amazon Prime Video, Amazon Fire TV Stick etc. Currently the highest payout you can earn with Amazon India is 9.39% per sale on men’s apparels, whereas for books you can earn 7.43% commission per sale. You can check out all the different payouts for different categories on Amazon here. Furthermore, Amazon India is also currently running a CPI (cost per install) campaign offering a decent commission every time a customer installs the Amazon Android app via a publisher’s site or blog. Launched in June 2016, Tata Cliq, the newest entrant in the Indian online marketplace scene, has taken the e-commerce industry by storm in an incredibly short time. It sells apparels, electronics, footwear, watches, accessories, lingerie et al from various national and international brands with a promise of quality, convenience and genuineness. Thus, promoting Tata Cliq products in your content can be highly valuable. Besides, the Tata Cliq affiliate program is presently offering the highest payout (12.15%) on sale of lifestyle products as compared to other marketplaces. It also has the longest cookie duration currently, which is 30 days. Another popular Indian online marketplace, ShopClues boasts of a merchant base of over 3.5 lakhs with more than 8.5 million products on offer. It also brings its customers Sunday Flea Market, Wednesday Super Saver Bazaar, regular festival sales and products at wholesale prices. Products at steeply discounted prices are the USP of this online store, which makes its affiliate program quite easy to promote among the masses. The payout of ShopClues affiliate program is 7.65% per sale for Fashion, Footwear, Travel & Luggage, Automotive, Sports & Health, Home & Kitchen. You can check the commission rates for other product categories here. If you have a fashion centric site or blog, the Jabong affiliate program is one of the best ones to promote through your content. With a wide range of the latest and trendiest fashion apparels and accessories for men, women and kids, great customer experience and on-time delivery; Jabong is a haven for fashionistas and fashion bloggers alike. Currently, you can earn up to 10.12% every time a new user clicks on a Jabong affiliate link on your site. You can use banners, widgets or links to promote the Jabong affiliate program through your site. You can even promote it through emails, POP, social media, Facebook and Native ads. When it comes to affiliate programs, domain registration, and web hosting; companies like Big Rock can get you the highest return for every sale you generate for them. 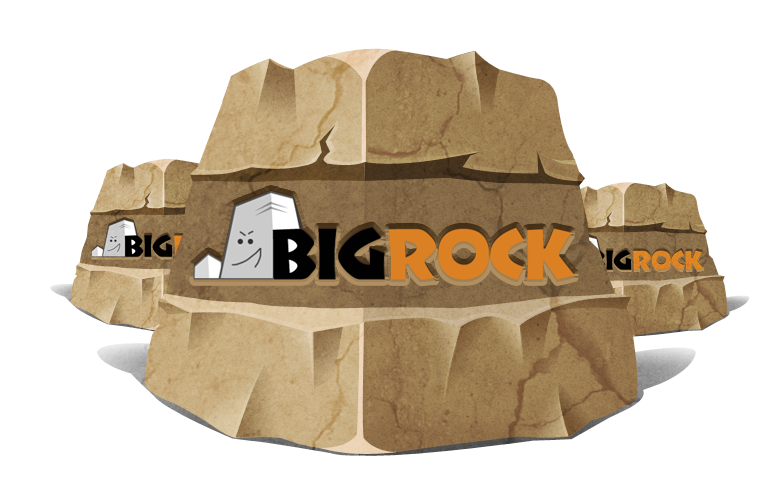 A product portfolio offering domain registration, email services, web hosting, website builders, and digital certificates; world-class customer service; and quick and user-friendly processes make Big Rock a first choice among many small-businesses, professionals and individuals, planning to go online. This coupled with high commissions translates to better conversions and high earnings. The commission rates for Big Rock affiliate program range from 22.50% to 45% for their email and web hosting services, while you can earn up to Rs 900 for each Big Rock website builder tool you sell via your content. Hosting an online travel guide, travel blog, a tours-and-travels website, or even just a few travel blog posts on your site? Then make sure you don’t miss the opportunity to promote the MakeMyTrip affiliate program through your content. MakeMyTrip is the most popular, reliable and hassle-free travel portal among travellers. Add to this, the high commission rates that it offers its affiliate partners, and it becomes a favourite among content creators and curators as well. If your blog or site only caters to travelling and travellers, here’s a list of top travel affiliate programs that can help you make a steady income. Another great travel centric affiliate program in India is offered by Agoda, which is one of the world’s fastest-growing online hotel platforms. Agoda offers budget hostels, luxury hotels, inns, guest-houses, villas, homes and apartments at the best of prices, along with a customer support in around 40 languages. Such a wide and inclusive catalogue of services renders the Agoda affiliate program highly profitable. Nearbuy is India’s first online local discovery platform, where you can find the best places to eat, drink, relax, party, entertain, stay and more, near you. It has a reach in over 35 cities in India with more than 1 lakh locations across 18+ categories. This makes the Nearbuy affiliate program very flexible. It lends itself easily to various types of content, be it related to travel, beauty, personal wellness, entertainment, food and dining, local goings-on etc. So no matter what your blog or site is about, you might still be able to promote the Nearbuy affiliate program through it. Started as an online trading platform in 1995 in USA, eBay simplifies consumer-to-business as well as business-to-consumer sales. Here anyone can list, buy and sell almost anything; from clothes to electronics to health and products to domain names, collectibles and more. The vast range of products and services on offer, and its long-established online presence are the reasons that eBay has made it to this list. You can earn up to 9% commission by promoting the eBay affiliate program through links, banners, widgets etc. There you go. Now you know how you can make the most out of your content and signing up with Cuelinks will make you eligible for all these affiliate programs in one go. So, while Cuelinks takes care of all the link tracking and sale validation in the background for you, you can relax and focus on the most important task at hand i.e. creating compelling, first-rate content for your visitors. Good luck! Excellent post. Well yes, indeed “Money Earned”. Well agreed, retaining a customer is crucial, so it’s a good strategy. apicountry.com is also providing affiliate opportunity with 6 to 10% commission. This website is specialiseed in providing Digital Signature Certificate. Ya Flipkart is the best affiliate program. I am earning good money from it for a long time. Do one need to have a website for affiliate marketing? Or A Facebook Page is enough? While a Facebook page is free and easy to use, it does have some limitations. For one, a facebook page is not enough to build trust, only a website can do that. Then there is the SEO factor. Between a website and a Facebook page, Google prefers showing websites on top of its search results. Also, a Facebook fan page can never give the complete brand experience that a website can provide. So, I would say, a Facebook page is not enough, at least not for the long run. You will need a website sooner or later to earn more. Thanks for sharing the Insight. Thank you so much! It’s a great guidance for me. A website is the best way to affiliate. Bcoz by posing links on Facebook you would get blocked. Even today I m block. It is better to create a blog through blogspot.com. Create your own content and place these banners both sides of the content. do you have a website.?? You can also use the Cuelinks Offers API to get all the offers of the day in one place. For this you need to request an API token from your account manager at [email protected]. However, this is a more complex process and requires a fair bit of technical knowledge to integrate. can you share your affiliate website?, so i can take an idea for create my own website. Can you please share your site address. I can’t agree anymore than what I just read. Thanks again. Oh my goodness! Incredible article dude! Thank you, However I am encountering issues with your RSS. I don’t know why I am unable to join it. Is there anyone else having similar RSS issues? Anyone who knows the solution can you kindly respond? Thanx! Good one thanks for sharing all the details. Hello there, You’ve done a fantastic job. I’ll certainly digg it and personally suggest to my friends. I’m sure they will be benefited from this website. how to get shopclues affiliate ? Simply create an account for your website with Cuelinks (https://www.cuelinks.com/signup) and you will start earning affiliate commission on the Shopclues links in your content. Hi, thanks a lot! We are using a WordPress theme called ‘Maxwell’. Good article…How effective will be posts /links shared on ones linkedin or facebook accounts. is there a facility to share the link of various affiliate program on whats app? Yes you can share it on social media sites by deeplinking from the Cuelinks platform, and similarly it can be done on WhatsApp. Though we request you to read terms and condition of each merchant to not face any loss of commission. Because some merchants like Amazon do not allow commission on social media or WhatsApp platforms. For further queries, you can reach out to us at [email protected]. I have a heath site in Hindi tell me affiliate for it. 1mg, 1 mg labs, Healthkart, Healthians, lybrate, medlife, netmeds, Sport365, Thyrocare, Practo, Aditya Birla Health Insurance. You can also promote Amazon, Flipkart, eBay as they have a lot health products too. All these campaigns are live on Cuelinks. You can find all the health related affiliates in Campaigns Explorer- just start typing ‘heal’ and it will prompt you all the health related affiliate campaigns. Or you can click ‘All Campaigns’ in Campaign Explorer, then select ‘Health and Beauty’ in the category filter. I think Amazon and Flipkart are best affiliate Program in India. I am going to apply for Flipkart affiliate link. Thanks for this post. Thank you for sharing excellent top 10 affiliate program sites in India. It will help me to grow my affiliate marketing business. While searching on google about Affiliate Programs I found your website. Your article about Affiliate Marketing is really amazing. Love the way you describe whole the story about Affiliate Progmas Keep up the good work mate. Thanks for creating such a nice post, a good data for every beginner of affiliate marketing. Can you help me to know basic of affilation marketing or how much can i earn from affilation ??? Since movies fall under entertainment, you can also promote various food affiliate programs like Behrouz Biryani, Domino’s Pizza, Faasos, Firangi Bake etc because well, movies are always followed or preceded by food. Just go to Campaign Explorer, click View All Campaigns and select category Food and Grocery. You can also promote BookMyShow gift cards via the Amazon affiliate program. nice post.. thanks… affiliate marketing is one of the best way to earn money without an investment. There are many different kinds of affiliate programs, such as web hosting affiliate program, web design etc.. I am earning money through web hosting affiliate programs. All you have to do is select a affiliate program join is and start promoting there product and services. This is quite good but I am looking if you can add some more affiliates. how to get godaddy affiliate ? Cuelinks is one of the best affiliate site in india. I started cuelinks as my part time income to earn little mone but within a month it became my main income. Thanks cuelinks. I make an affiliate coupon website and join cuelink and earn money also increase my website rank in alexa. That’s great to hear! Congratulations and all the best! First of all, Thanks for the great article. How about the competition for these affiliate marketing websites in India? Suppose, If I launch a website solely for affiliate marketing, what are the different factors I could use to drive traffic to my website. Is the market too saturated with so many affiliate marketers out there? 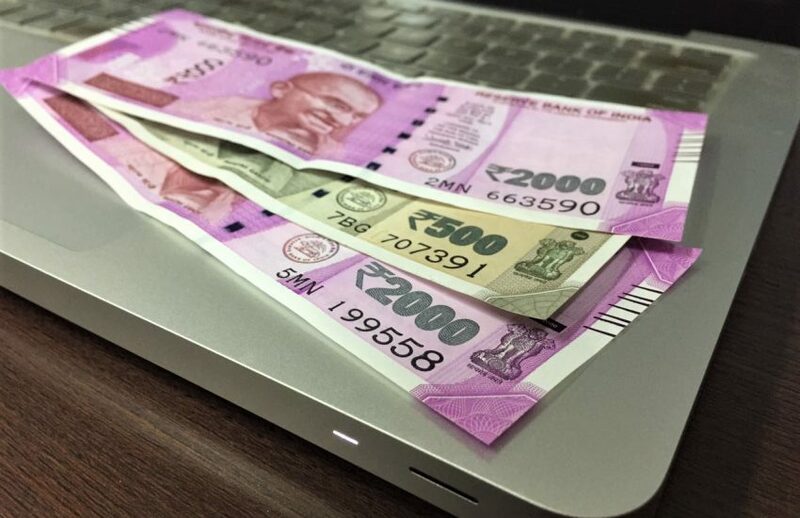 In India, affiliate marketing is still quite unexplored. The market is definitely far from saturated right now. Most bloggers still don’t monetise their websites and many give up affiliate marketing way too soon. Affiliate marketing requires a great deal of patience and effort to yield desired results. You can drive traffic through SEO, social media promotion, guest posts, and many other ways. Cuelinks.com is the best for indian affiliate Programme System . I am also using for my site http://www.mymegadeal.com . thanks for sharring, keep up the good work. Hey can we earn through only clicks on flipkart affiliate program?? No. Cuelinks currently runs only CPS campaign with Flipkart. Thanks for share your knowledge about affiliate programs. Thanks for Best Information given. I will use all Affiliate Program from this Site. cuelinks alternative to viglinks and skimlinks. Hi Vandana, Great article…very interesting and useful for most of us ! Kudos to you !!! I was working in Gulf and recently shifted to India because of some family reasons. I was drawing a handsome salary of Rs.5.00 Lacs / month owing to my qualification and experience. Now in Mumbai I’m looking for Online opportunities and not very keen to take up job again. I know Affiliate Marketing is perhaps the best bet in that case. Now I would like to ask a very upfront and direct question- Do you think I can earn Online equivalent to my salary ( I’m ready to work full time as I’m home now….ready to work even 12 hours a day ) ? How long do you think it will take to reach Rs.5 lacs/month ? Which niche do you think will generate the best income ? Well, I am afraid there are no exact answers to your questions. However, if you are really going to put in that much work regularly, then yes, you will definitely be able to reach your income goal with affiliate marketing. The online world is full of crazy success stories of numerous affiliate marketers who have made it bigger than what you’re aiming for. On an average, it takes a committed marketer between 18-24 months to earn a steady income from affiliate marketing. As far as niche is concerned, there are a number of lucrative niches like wealth, personal finance, review website, beauty and fashion, online courses, health and wellness, job leads website. There’s also something called micro-niche websites which offer great ROI. This is actually a topic for another article. However, I would say that pick something that you are passionate and well-informed about, something that will keep you hooked in the long run. Thank you so much for posting such well informed article. I wanted to know that I wanted to start a blog in research and medical science. Now my question is can I do this affiliate marketing in free WordPress or BlogSpot ? Which one will be the best for me to take on affiliate marketing? Thank you once again for listening to my query. Waiting for your earliest possible reply. Yes, you can definitely use affiliate links in a free WordPress or BlogSpot blog. As far as choosing between these two, my research says you must go for WordPress because it offers a lot of features that BlogSpot/ Blogger does not. E.g. WordPress offers a wider variety of themes for your blog; it makes it easier for you to move to a self-hosted blog or a different host or domain later on; there are WordPress plugins that add more helpful features to your blog in a jiffy; and WordPress has been around as a content management system for a longer than BlogSpot. how this is different from pay per click? which one is more profitable? does Amazon/flipkart offers this pay per click? PPC is like running commercials of various products/ services in between your TV show whereas affiliate marketing is like promoting products/services through the characters or plot twists in your TV show. In both cases, the content is yours however, only the way you promote other’s products/ services through your content is different. In PPC you allow a network to put ads on various places in your website and charge money if someone clicks or views it. That is one way of making money from your online property. In the case of affiliate marketing, you promote things in a very subtle way e.g. by writing a review about them or mentioning them wherever possible in your articles. Thus, you have to plan your content around the things you want to promote. And it’s totally in your control on what you want to promote to your audience and what not? On the contrary, Google or other Ad networks show ads depending on the kind of audience that visits your site and various other factors that you can’t control. People usually go for PPC because it is a lot more popular and also easy to get started with as compared to affiliate marketing. However, one of the major complaints of newbie site owners with PPC is getting banned by Google or their respective ad networks because they violated some or the other advertising policy. And once you are banned, it’s difficult to get back in their good books. But there’s no reason you should choose only one of them. It’s your online property and if you want you can choose not just PPC or affiliate marketing but many more ways of making money through it. P.S. : Neither Amazon nor Flipkart offers PPC. Amazon associates, agoda, eBay, are not Indian programs, though their services are available in India. Nice post, however. Good content collection. Amazing tips about High paying affiliate marketing. Keep up the great work……! hey, thanks admin to suggesting lots of ways earn money by affiliate. This is really helpful for me.